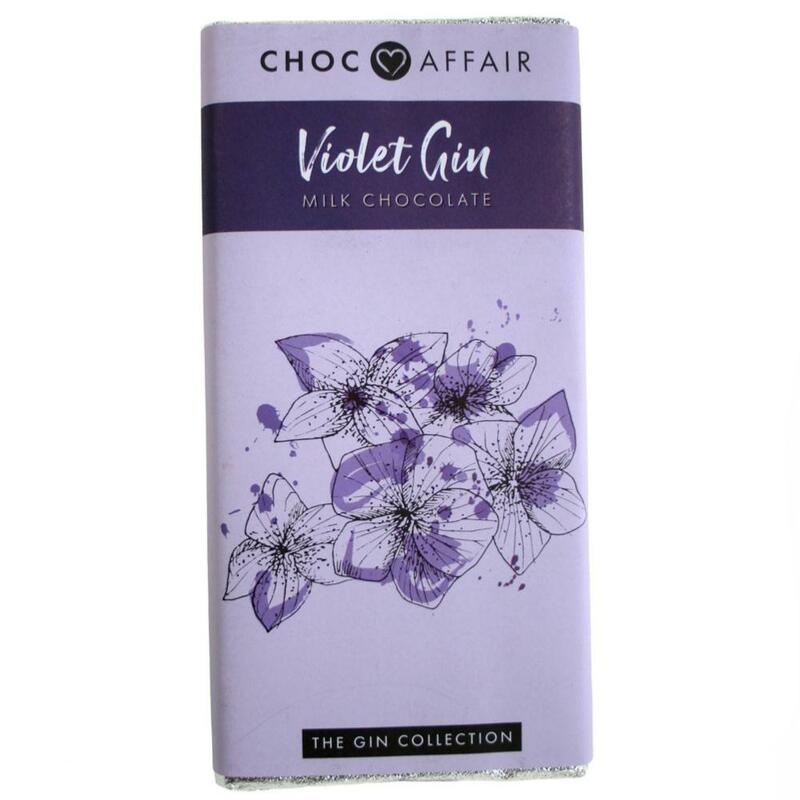 Luxurious violet flavoured milk chocolate bar - 90g. Milk Chocolate (min. cocoa solids 41%, min. milk solids 21%) (sugar, cocoa mass, whole milk powder, cocoa butter, emulsifier: soya lecithin, natural vanilla flavouring), Natural Juniper Flavouring, Natural Violet Flavouring.